Integral solutions for educational institutions looking to open a campus in the UK & Ireland. In a world on the move, and with increasing global student mobility, the ability to look beyond our own shores and to develop international partnerships has never been more important. 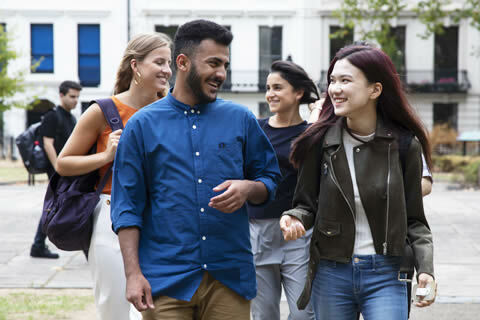 At British Study Centres, we are actively looking to forge relations with like-minded institutions who value cross-cultural relations, who wish to provide their students with opportunities to study overseas. BSC has a proven track record in building partnerships with international organisations and in providing a home in the UK and Ireland for schools and colleges looking to open a branch overseas, in shared premises in an international, multilingual environment. 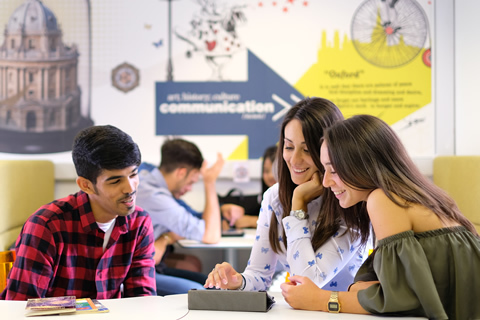 With an educational heritage dating back to the 1930’s, British Study Centres is the UK and Ireland’s leading group of premium English language schools with centres in London, Dublin, Oxford, Edinburgh, Manchester, York and Brighton. To contribute to the future success and development of our students by delivering high quality English language training to adults and young learners, teacher training courses for UK and overseas teachers and University Pathway programmes in partnership with NCUK; a consortium of leading UK universities. Collaboration. We believe in building strong partnerships with like-minded institutions in the education sector. Innovation. We believe in developing products to meet the needs of an ever-changing market. Quality. We are committed to quality, to being the best we can be in teaching, facilities and customer care. BSC is the English language delivery partner of the prestigious EQUIS-accredited French business school, École Management de Normandie (EM Normandie), a member of the Grandes Écoles Chapter of Management and ranked in the Financial Times top 100 of Management courses worldwide. EM Normandie operates two branches in the UK: in Oxford and Dublin. In Oxford, EMN welcomes Grande École Programme students for a full year from year one undergraduate to first-year Masters with specialisations in Banking, Finance, HR and FinTech. All courses are taught in English with language provision provided by BSC’s team of highly experienced team of English language professionals. In January 2019 BSC and EM Normandie opened a shared campus in the centre of Dublin, close to the International Financial Services District. This initiative reflects the growing trend for international universities and business schools to open branches overseas using English as the medium of instruction. In Dublin, EM Normandie offers second year undergraduate and first year Masters Grande École Programme students a semester in international business and management studies. As in Oxford, all courses are taught in English with language provision provided by BSC’s team of teachers. Preparing students for the TOEIC exam is a core feature of the English language programme. BSC is committed to developing in-country links to the local business community in all of its locations. For example in Dublin, BSC has developed close ties to the Dublin Chamber of Commerce and the Irish Small and Medium Enterprises (ISME) national body. This provides BSC with an experienced team of entrepreneurs and professionals who support our Educational Quality framework and work alongside our BSC Dublin Business faculty. This in turn allows us to provide visits and talks across the business community in Dublin, including digital media giants LinkedIn, Google and Facebook, all of who have their European headquarters in Dublin. Similarly in London, BSC is able to arrange visits to the Bank of England, Lloyds of London and Sainsbury’s PLC. In Oxford, visits can be arranged to the BMW mini-plant, Wychwood Brewery and to a number of Oxford University colleges. The integration of company visits and links to the business community are muchvalued component of ‘in-country’ undergraduate and postgraduate business courses, enabling students to see business in action at first hand in their chosen country of study.